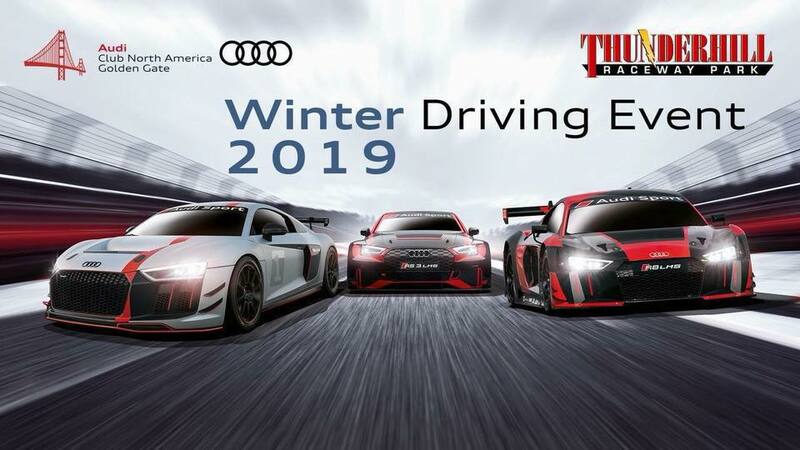 The AudiClub Golden Gate Chapter is back at Thunderhill Raceway for our annual Winter Driving Event, January 25th to 27th, 2019! If it is your first or your tenth time attending an Audi Club driving event we’re confident that you’ll have a great time. The event is open to all skill levels from first timers to advanced drivers. The weekend event will also be preceded by an advanced drivers only day on Friday, January 25th, 2019. Registration is already open at http://msreg.com/ACGGWDE19; don’t miss out on the early-bird pricing, available until Christmas!